Have you noticed that your sleep habits have changed after taking a new course of medication? It’s not unusual to find that if you have been taking a new drug or alcohol that it is difficult to sleep afterwards. Some medication does seem to cause sleep disorder and this can be a worry because the medication is often prescribed for another ailment. It’s hard to know what is best to do: avoid the medication or take the medication and treat the sleep disorder. There is no straightforward answer to this because every situation is unique. Which medications are linked to sleep disorders? 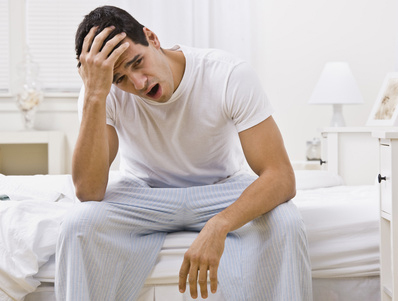 Some antidepressants can cause a sleep disorder known as sleep apnea. One of these antidepressants is in the group of medications known as selective serotonin reuptake inhibitors or, more simply, SSRI. Prozac, Celexa and Zoloft are SSRI drugs that in some cases can cause a sleep disorder such as sleep apnea. It is important to know that sleep problems could lead to more serious long term health consequences, like heart disease or stroke. There are some sleeping disorders that a dentist is able to treat by using different types of appliances which can fit into your mouth. A popular remedy that is often recommended by doctors is the continuous positive airway pressure breathing device (CPAP) which helps to provide a continuous air flow while you sleep. However, a lot of patients find this uncomfortable and noisy. There are less invasive dental appliances available which can also help to improve your breathing. Two of these appliances are a tongue restraining device (TRD) and the mandibular advancement device (MAD). Both of these fit in to your mouth in such a way that breathing can improve dramatically. Could dental treatments help you? If you have been unable to sleep properly and it seems to be caused by a medication you have been taking recently, you may be able to get some relief with the help of physiologic dentistry. We will need to make a thorough examination and take into account your medical history and use of the medications which may be the cause of your sleeping disorder. Effective treatment of the sleeping problems with modern dentistry techniques may help to give you relief and an improved sense of well-being.